So you’ve picked out the perfect piece of wall decor but the next step of figuring out where and how to hang it’s got you stumped. Find a solution using these tips and spiff up your space in no time. 1. Give it room to breathe. 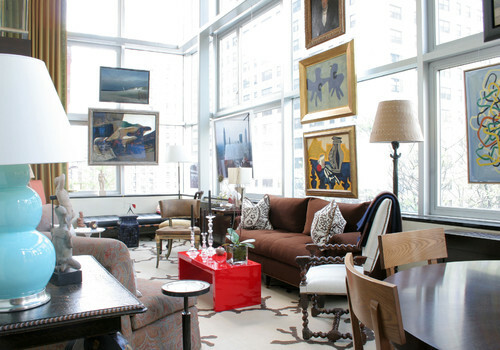 Some pieces, especially bold ones, can stand alone and work best on their own instead of in a gallery wall. Give those pieces, or any others you especially favor, room to stand out. 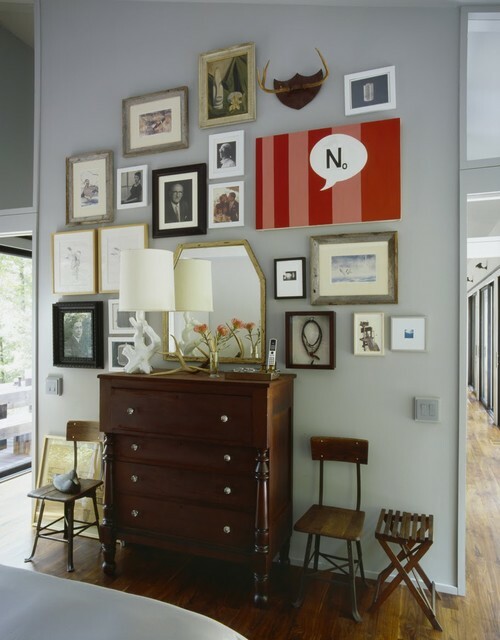 If you’re putting quite a few things into a gallery wall, don’t place them too close together. 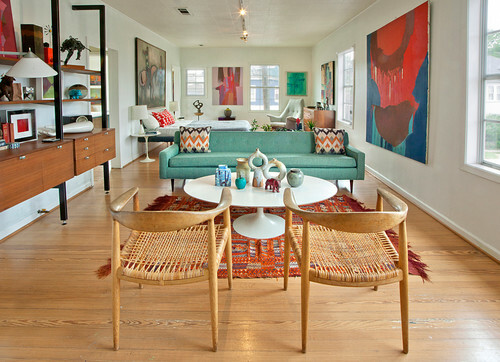 Give each piece four to six inches of breathing room to avoid having a gallery wall that looks cluttered. 2. Measure out the size that works best in the place to fill. Find a happy place and distance for hanging your art. Typically pieces hung above a mantle or couch need a clearance of six to eight inches for optimum eye appeal. On the sides, art should end at least two to three inches from the edge of the surface you’re hanging it over. Whether you’re going with one larger piece or an array of smaller ones, this will help you create an appropriate visual separation so your art really stands out. 3. Do research to find out the best method and hardware for your particular piece of art. Heavier pieces of art need more support than smaller ones. Adhere those heavy pieces to a stud or anchor them to the wall. And some pieces of art, like canvases, may come with hanging hardware attached. Others may hang fine with a Command wall strip, which many people swear by. Command strips are especially great for renters since they leave no marks and don’t require nails. Don’t be afraid to hang your art using unconventional methods, like with binder clips. 4. 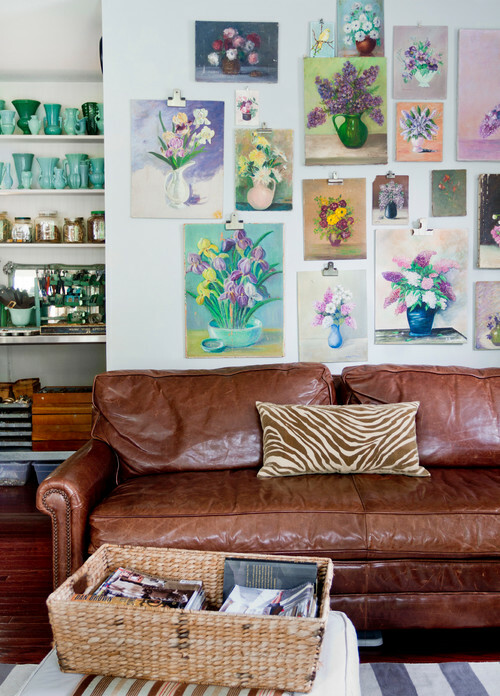 If you’re hanging a gallery wall, start from the middle and work your way out. 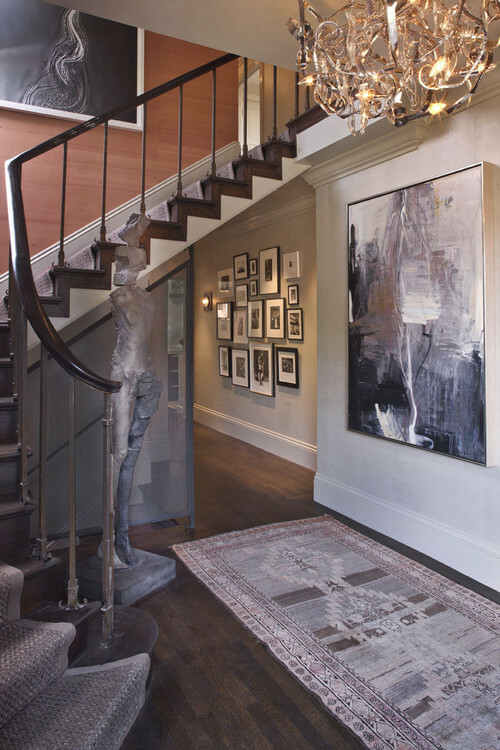 Gallery walls can be overwhelming to hang. One tiny mistake can throw off an entire display. But if you start in the middle and work your way out, you’ll be able to catch those mistakes before you hammer multiple holes in the wall. Another trick is to cut out paper in the shape of whatever space you’re putting the art to have a visual before taking the plunge. 5. Get experimental and go off the wall. Walls aren’t the only place to hang your art. Look for clever places to hang or suspend your art, like off a bookcase of even in front of a window.